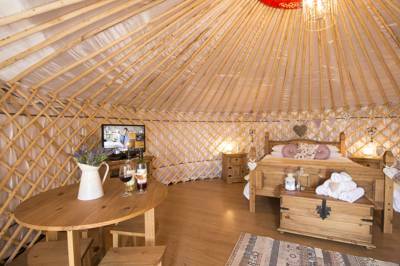 A stay in our Yurt brings you close to nature with a warm, comfortable bed to cosy into by the end of the day! 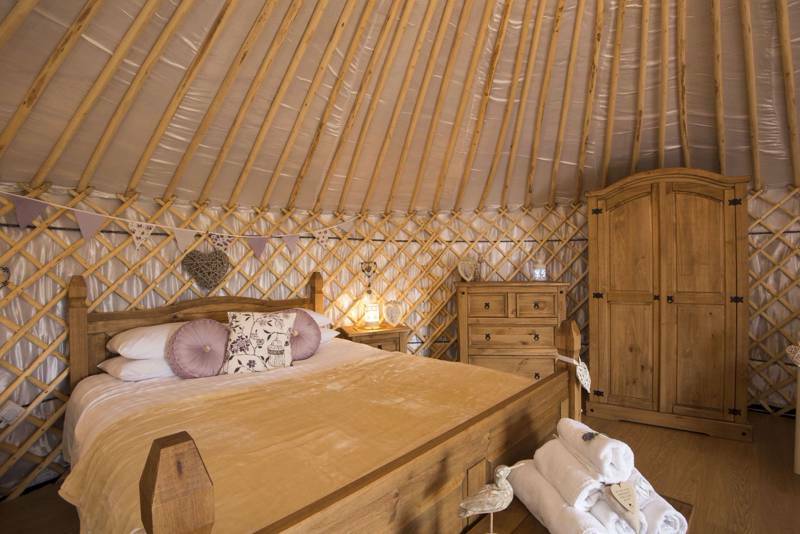 Each Yurt has been lovingly furnished with beautiful rustic wooden furniture and the grounds offer fantastic facilities to enjoy including an outdoor heated pool, garden and children's play equipment. 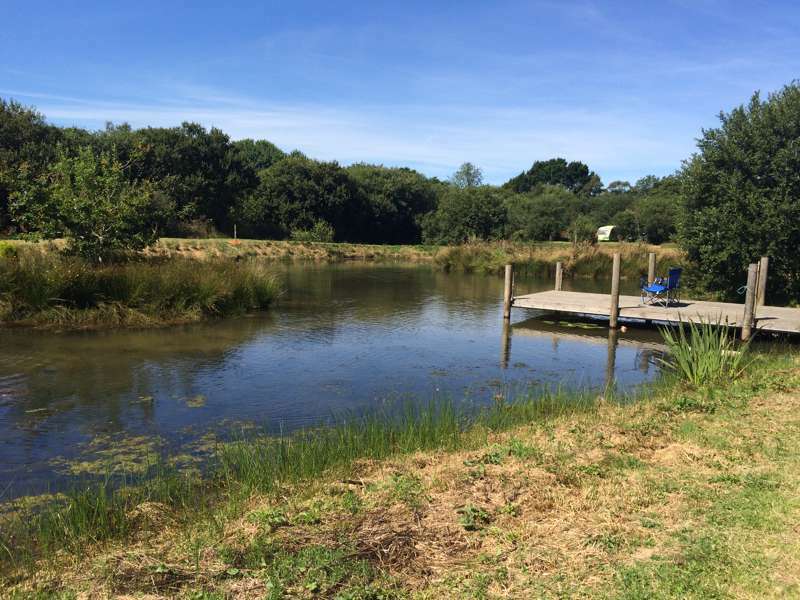 Cornwall Yurts is as refreshing as a chilled beer on a sweltering summers day. 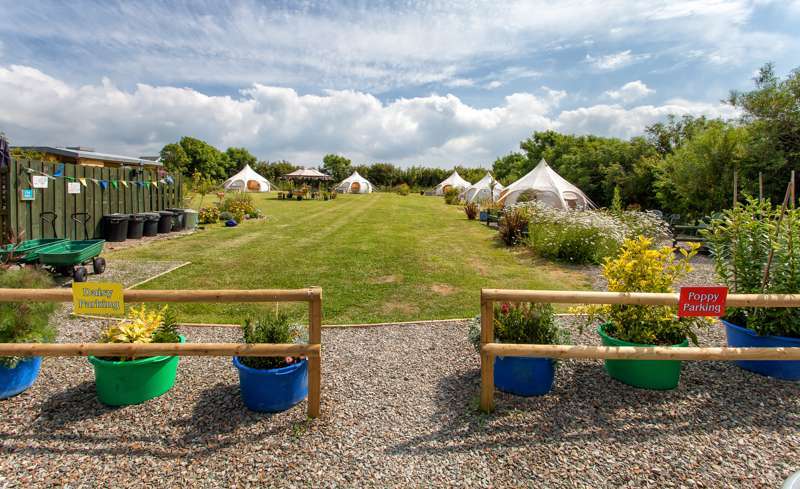 Within a one-mile radius of this low-key glamping escape there are no fewer than six different holiday parks, each brimming with motorhomes and rows of static caravans. Carnebo Farm, meanwhile, blooms like a rose among the thorns, a sanctuary from the crowds rather than a magnet for them. 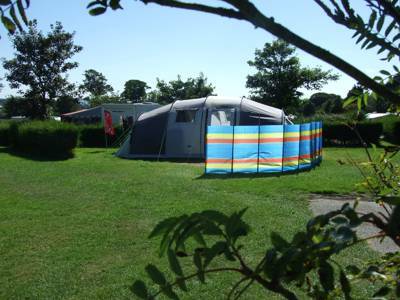 It boasts the same ideal location, of course, ten minutes from some of England’s finest beaches and a stroll away from a gorgeous 19th-century pub, but it retains that refreshing, small-scale charm that makes it a firm Cool Camping favourite. The site itself comprises a large, rectangular paddock based around a couple of converted farm barns and a more recently built ‘woodshed’. The latter houses the ablutions facilities and a communal kitchen space. A new establishment, the facilities here really are top spec, with a modern kitchen that provides each yurt with its own fridge, cupboards and utensils and boasts a brand new oven and hobs. Outside there is a heated swimming pool, surrounded by a wood panel fence that creates a magnificent suntrap, while each yurt also has its own private BBQ. It’s the yurts themselves, though, which really stand out. Even as you pull into the short, gravel driveway you can see their coned tops, poking over a bushy entrance bank that shields them from the road. Like a row of seaside houses, they each have their own colour scheme, with cute pastel doors and matching décor inside. Despite the Mongolian origins they look wonderfully at home here. While the interiors are described as ‘rustic’ – wooden furnishings, exposed lattice walls, and bunting notwithstanding – the 32 inch flat screen TV certainly gives a very 21st century edge to it all! While the swimming pool may be a big draw, the wilder options are within easy reach. Expansive Perran beach is around 10 minutes away in the car, a popular surf spot with a range of rental outfits in the overlooking town, while smaller coves and bays can be found further along the coast – best discovered via the coastal path. The very best are those only accessible by water, like tiny Hanover Cove, a sandy inlet beneath Cligga Head, with a dramatic yellow-rock sea cave and arch (join a kayaking tour to reach it). Further north Newquay boasts its own collection of beaches, Holywell, just to its southwest, is particularly good – walk to its far end to discover its sanctified wells where springwater cascades down a series of natural pools. When you’re all worn out you can weave your way back through the streets of town to one of the countless excellent seafood restaurants or retreat to the tranquility of your inland yurt. 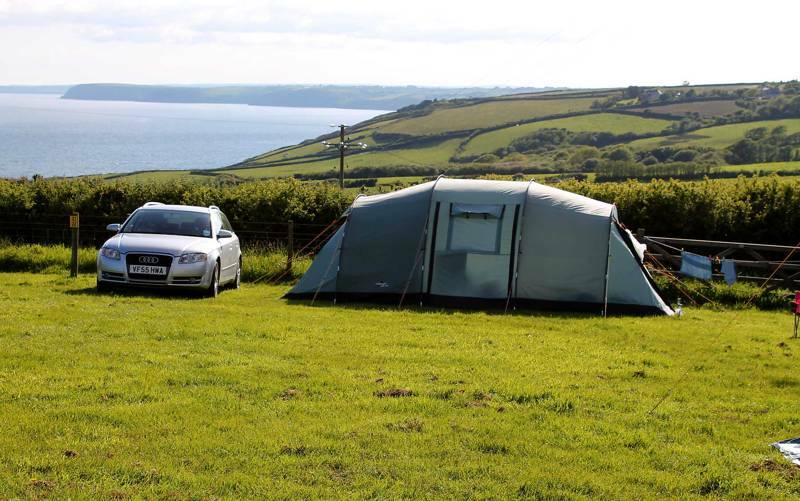 Cornwall Yurts at Carnebo Holiday Barns are set in a perfect location just ten minutes from the miles of beaches on the North Coast of Cornwall close to Perranporth. 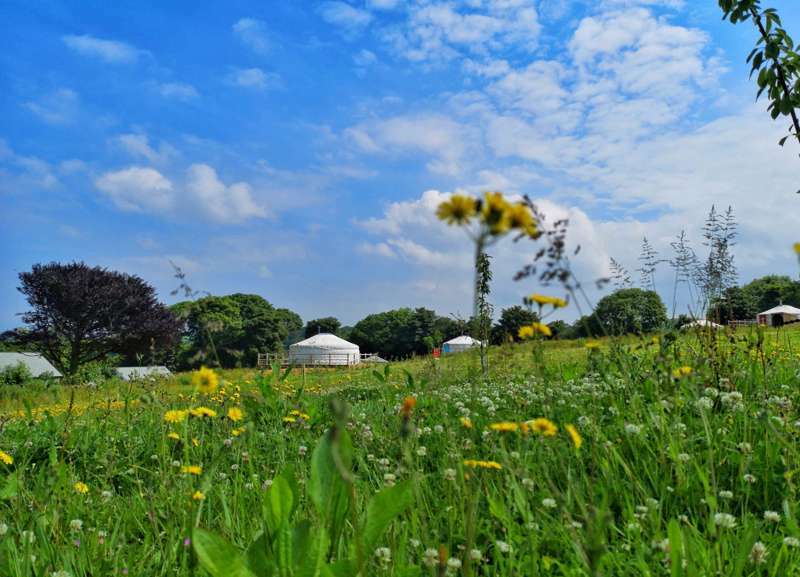 A stay in a Yurt is far from your average holiday, where else can you feel so close to nature and be tucked up in a warm, comfortable bed by the end of the day! 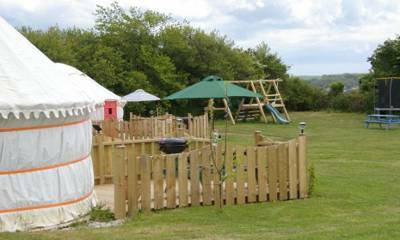 Each Yurt has been lovingly furnished with beautiful rustic wooden furniture and the grounds around the yurts has some fantastic facilities to enjoy including an outdoor heated pool and children's play area. 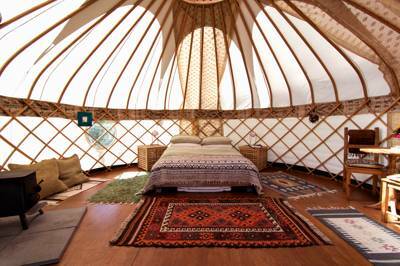 For latest availability and best prices for Cornwall Yurts at Carnebo Holiday Barns, please use the Date Search above. 5 yurts in the grounds of a converted farm. Yurts sleep 4 and feature a king-sized bed (and bedding), a day bed with 2 single beds, wardrobe, 4 drawer chest, bed trunk with fresh towels, TV, round table with 4 stools and rugs. 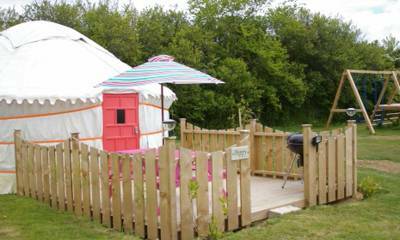 Walk outside the yurt onto a private decked area with seating and BBQ. The onsite cookhouse has 1 fully equipped cupboard (crockery, cutlery, utensils and essential condiments), 1 empty cupboard and 1 fridge for each yurt. The house also has 2 washing machines (free of charge) and 2 dryers (meter charge). There are 2 shower rooms, 1 male and 1 female, and a third, disabled shower room. An outdoor heated swimming pool (open April–Sept) and children’s play area provide plenty of onsite fun. 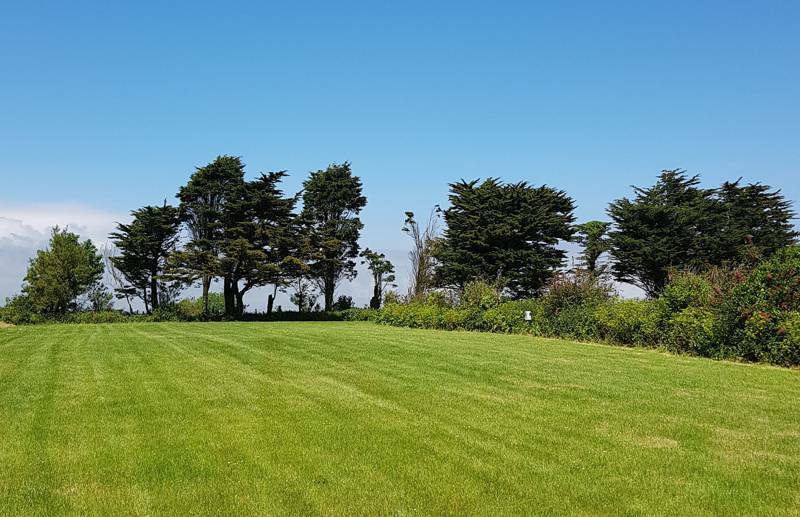 Those looking for specific attractions are in easy driving range of Newquay Zoo (01637 873342), the Blue Reef Aquarium (01637 878134) and Dairyland Farm World (01872 510246), but for most it's the miles of beaches that are the real draw. Perranporth Beach is particularly popular and, since it stretches for several miles, it's never too overcrowded. There are numerous surf schools as well as chances to wind-surf, sea-kayak and sail. In Newquay try popular Towan beach or visit the Huer's Hut. This small stone hut dates back to the 14th century and was used as a lookout by the ‘huer’ who would sound his horn to alert fishermen when shoals of pilchards came into the bay. There’s little to actually do at this Grade II-listed building, but it’s worth the trip – a short walk from The Red Lion pub (01637 872 195) – just to gawp at the panoramic view of Newquay’s coastline. There are plenty of pubs in the vicinity. Try The New Inn (01872 573326) in Goonhavern or the Pavilion Boatshed (01872 300784) in Perranporth, plus there is the excellent Watering Hole (01872 572888) – a bar down on Perranporth beach (dubiously claiming to be 'the UK's only bar on the beach'). For a lighter bite or lunch there's a wonderful little café at Goonhavern Garden Centre (01872 575088) or pop into the Lakeside Café (01637 872703) in Newquay. 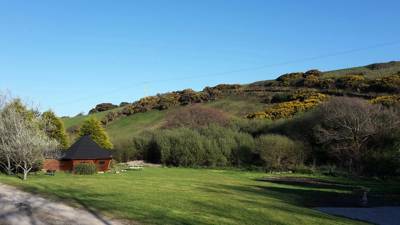 Lewinnick Lodge (01637 878117) is also a particularly good restaurant within easy driving distance. Most major supermarkets will deliver to the site. 4th March – 28th October. 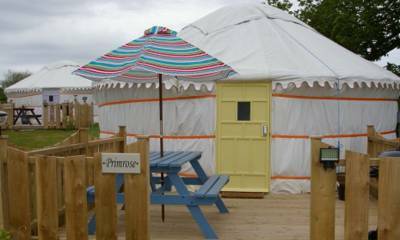 From £279 per yurt per week in low season to £749 for a week in high season. 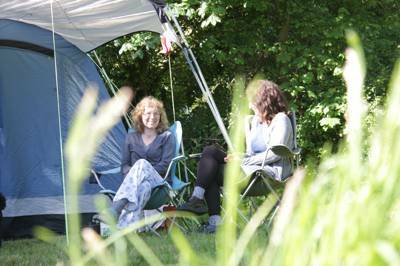 Short stay breaks (any available check-in day) available throughout June & July for as little as £150 for 2 nights. High season week-long bookings are from Saturday-Saturday. From the A30 turn right onto the B3285 sign posted Goonhavern/Perranporth. Turn right onto A3075 Newquay Road, for approximately 1km. Carnebo Holiday Barns are situated on the right hand side. Nearest train station is Newquay or Truro and buses run regularly.